Schalke vs Dortmund – Sunday, April 15, 14:30BST/15:30CEST – Veltins-Arena, Gelsenkirchen, Germany. The Revierderby is without a doubt the biggest and most important derby in German football. The 172nd edition of the derby will kickoff Sunday at the Veltins-Arena in Gelsenkirchen and will not just determine the number one in the Ruhr but is also a battle for second place in the Bundesliga. Schalke, in second-place, and Borussia Dortmund, in third-place, are separated by just one point. Dortmund have only finished behind Schalke once in the last seven years but since October have struggled to keep up with Schalke in the league. Furthermore, after the heavy 6-0 defeat to Bayern Dortmund were looking down towards securing their Champions League spot rather than attacking the second place in the league. But football is a day-to-day business and Schalke’s 3-2 defeat to Hamburg, and Dortmund’s 3-0 win over Stuttgart now gives the impression that the two clubs are very much on even footing going into the match. “We want to finish second”, Nuri Sahin told the media on Wednesday. “With a win, we will move past Schalke. But it is more important that we reach the Champions League,” Dortmund head coach Peter Stöger added. 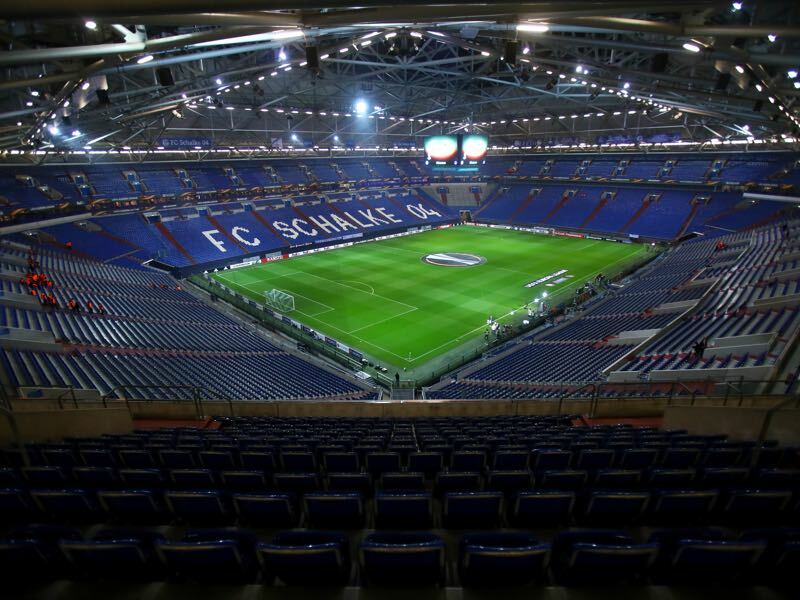 Schalke are insistent, however, that they will not be affected by the defeat to Hamburg. “We have digested that defeat”, Schalke keeper Ralf Fährmann explained. In the ten, 15 games leading up to the match, we have shown almost no weakness, and even Manchester City or Barcelona have a bad day every once in a while”, Fährmann added. The reverse fixture ended 4-4 with Dortmund carrying a 4-0 lead into halftime. An epic collapse in the second half would eventually lead to head coach Peter Bosz being fired by Borussia Dortmund. While it is unlikely that the latest edition of the derby will lead to another goal fest the derby will without a doubt be another tight affair in which Dortmund will come up with a tightly fought win. 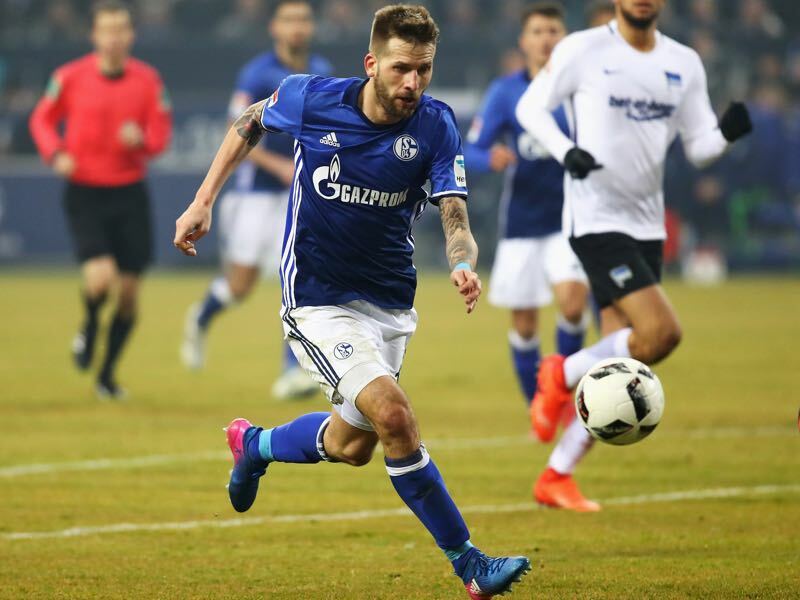 Guido Burgstaller has been Schalke’s top goal scorer this season. The Austrian forward has managed ten goals and four assists in 27 games and has scored a goal for Schalke every 193 minutes in the league this season. Signed from Nürnberg last winter the 28-year-old Austrian from Villach has not just been Schalke’s most dangerous goalscorer but also an important emotional leader. Marco Reus will once again be expected to lead the line for Borussia Dortmund. As explained, on last week’s Gegenpressing – Bundesliga Podcast Reus makes everyone around him better not just by scoring goals but because he brings an unpredictable presence to the field for Dortmund. 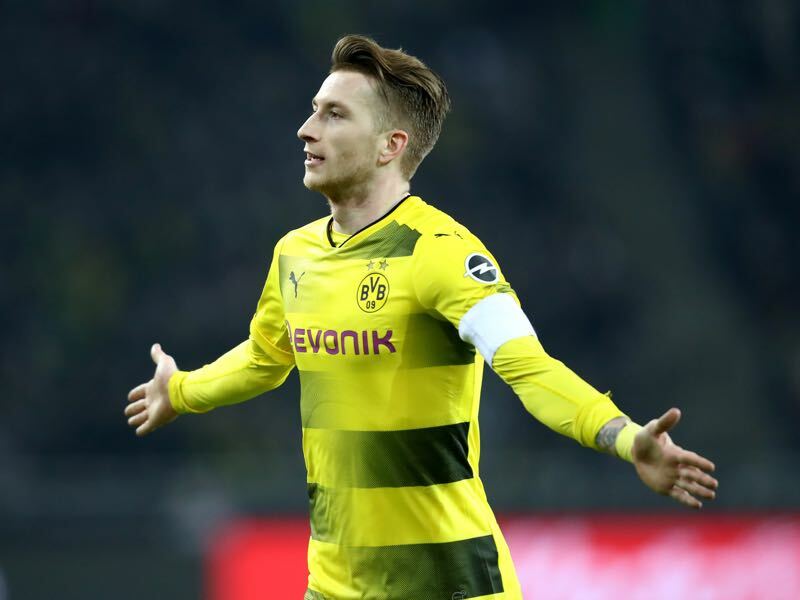 With three goals in six matches, Reus has scored a goal in every second game for Dortmund and will be the biggest threat Schalke have faced all season. This is the 172nd Schalke have won 68 games and Dortmund 59 (333-269 goals). In the last seven seasons Schalke managed only once to finish ahead of Borussia Dortmund – in 2014/15 Schalke finished sixth and Dortmund seventh. Naldo has already scored five times against Dortmund and has only scored more often against Frankfurt (six times). Naldo scored the tying goal in the first matchup between the reverse fixture.